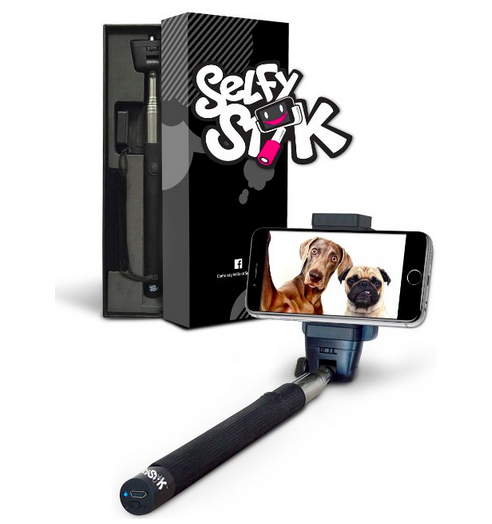 Clipping Chix: Amazon: Selfy Stick only $9.97 (reg. $36.99) + FREE Shipping with Prime! Amazon: Selfy Stick only $9.97 (reg. $36.99) + FREE Shipping with Prime! Who wouldn't love a selfie stick in their stocking! Amazon has Selfies Stick. Top Rated Self Portrait Monopod. Extendable, Wireless, Built-in Bluetooth. Best Selfie Sticks For Android inc Samsung Plus iPhone 6 5 4 on sale for only $9.97 (reg. $36.99) plus get FREE shipping for Amazon Prime Members! Hurry, this price won't last long!